That's where the Bill Miller Engineering Forged Aluminum Connecting Rod is in the aluminum rod market. That's the number of Nitro Funny Car Champions since 1990 who have used BME Rods. That's how many years the Bill Miller Engineering Forged Aluminum Connecting Rod has been the standard by which all other aluminum rods are judged. 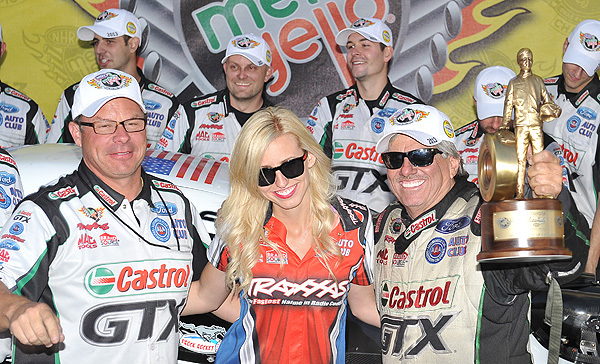 All smiles from the JFR team after John Force won his 16th NHRA Funny Car Championship in 2013. Force's Funny Car had a set of BME Aluminum Rods in its engine. L-to-R: Crew Chief, Jimmy Prock, Courtney Force and John Force. Image: Auto Imagery. John Force is the most recognized drag racer in the World. He's won the National Hot Rod Association Mello Yellow Funny Car Championship 16 times as a driver, most recently in 2013, and 18 times as a car owner. With 16 titles, 148 event wins, 248 final round appearances and well over 1000 round wins, Force is, also, the most successful drag racer. One reason for John Force's amazing record is the Bill Miller Engineering Forged Aluminum Connecting Rods he puts in his engines. How do you win against the most prolific Funny Car driver ever? Best have BME Rods in your motor. Taking that to heart, 2015 Funny Car Champion, Del Worsham, became one of only a handful of drivers in 28 years to defeat John Force for an F/C Title. Then there's former Champion, Gary Scelzi. Not only did he beat Force back in '05 but he's the only racer to win championships in all four NHRA blown-fuel and blown-alcohol classes. BME Rods helped him do that. How about the Pedregon brothers, Cruz and Tony? Each has twice beat Force for the F/C title using Bill Miller Engineering Aluminum Rods. The 2016 season was a good year for Bill Miller Engineering in Nitro Funny Cars with six of the top ten using its Aluminum Rod, including JFR's other two drivers, 2009 Champion Robert Hight and Courtney Force, along with Del Worsham, Tim Wikerson and Alexis DeJoria. Del Worsham, the 2015 NHRA Funny Car Champion, drove his Bill Miller Engineering-equipped, nitro Funny Car to four National Event wins and the title that year. The Funny car veteran and long-time BME customer is also the 2011 Top Fuel title-holder and one of only three drivers to have won championships in both nitro classes. Image: Auto Imagery. Tony Schumacher has driven the U.S. Army Top Fuel Dragster to an unprecedented eight NHRA T/F Championships. Seven of them were won with BME Forged Aluminum Connecting Rods. Image: U.S. Army Racing. The most distinguished Top Fuel Dragster in the sport is the U.S. Army car. Its driver, Tony Schumacher, is an eight-time NHRA Champion. Seven of those titles were won with BME Rods. In 2016, J.R. Todd drove the BME Rod-equipped SealMaster Dragster to a win at Sonoma and five runner-up finishes. Obviously, Bill Miller runs his own parts in the BME T/F car he fields for Troy Buff. 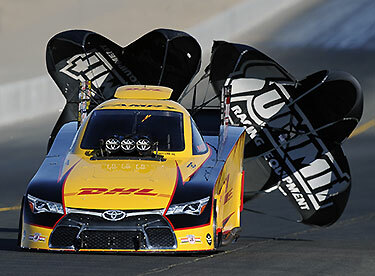 Miller's Top Fuel Team is consistently a top performer among NHRA Top Fuel teams running partial schedules. 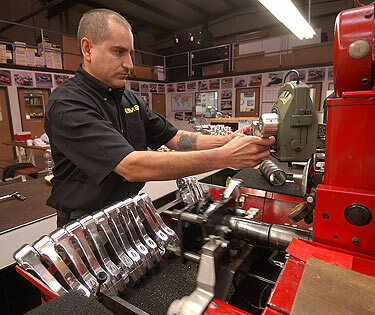 The Bill Miller Engineering Forged Aluminum Connecting Rod is catching on in Pro Mod. Top drivers, such as Troy Coughlin and Mark Woodruff, use engines from Pro Line Racing, a longtime BME Rod customer. Melanie Troxel is the only drag racer to win in Top Fuel, Nitro Funny Car and Pro Mod. Troxel, though now retired, still holds the National Record at 258.71-mph, set in 2011 with a BME-equipped, Pro Line-powered '53 Corvette. Dwayne Mills, currently the talk of the 1/8th-mile community for his running in the 3.80s at 208 on drag radials, also, relies on BME-equipped Pro Line engines. Corvettes are all the rage in Pro Mod. Troy Coughlin runs a 2014 Corvette for Team Jegs (top) and Melanie Troxel holds the NHRA Promod National Record with a 1953-bodied Vette (bottom). Both cars have BME Rods in their Pro Line Racing engines. Images: Team Jegs, NHRA.com. Not only is the Bill Miller Engineering Forged Aluminum Connecting Rod quickest and fastest on a drag strip, it's the fastest aluminum rod...period. In 2018, BME Rods were in the engines Danny Thompson used to set a Bonneville speed record for piston-powered vehicles at 448.775-mph. Southern California Timing Association (SCTA) National Records at Bonneville Salt Flats, Utah, are an average of two runs, one each direction. During each run, the car accelerates for five miles with the last two of those five a speed trap. After that, there are two miles left to stop. 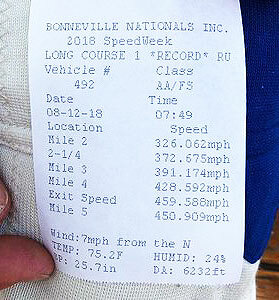 On 21 August 2016, Thompson set the SCTA AA/Fuel Streamliner National Record at 406.769-mph driving the twin-engine, all-wheel-drive "Challenger 2". Powering the "C2" are a pair of 500-inch, Jerry Darien built, Brad Anderson Hemis. Each is unblown on 72% nitromethane and produces 3500-hp. For the performance, reliability and durability needed to produce a sustained, 7000-hp for 10 miles or more, Danny Thompson uses BME Forged Aluminum Connecting rods. Three weeks later, Thompson was back at the Salt with the BME-equipped Challenger 2 to try for an Feseration Internationale l'Automobile (FIA) World Record in Category A, Group II Class 11. Interestingly, back in 1959, Danny's Dad, Mickey, famed drag racer and land speed racer of the 1950s '60s and '70s, set a 345.330-mph record in the same FIA class with the "Challenger", a four-engine, 2100-hp streamliner. At Bonneville in 2017, on his first run, Danny went 439-mph, but he could not back-up that speed. That ended the Challenger 2's Bonneville racing that year. A year later, 11-13 August 2018, Thompson took the Challenger 2 to Bonneville one last time and, finally...success. Danny made two runs in the BME-equipped, streamliner. The first was 446.605-mph. The second was 450.909-mph. The two-way average was 448.757-mph: a new record in SCTA AA/Fuel Streamliner making the BME Forged Aluminum Connecting Rod the fastest and finest aluminum rod you can get. The racers in import drag racing, half-mile drag racing and 1500-ft "roll racing" look to BME for aluminum rods for their four- and six-cylinder racing engines. The Speed Factory uses the Bill Miller Engineering Aluminum Rod in the Honda four-cylinders it builds for top competitors such as the 1500-hp, Competition Clutch Outlaw Civic which has gone 7.91/196.7 making it the quickest/fastest, production chassis, front-wheel drive car; the Vibrant Performance Civic, the Sport-Front-Wheel-Drive class Record Holder at 8.31/178.7 and the Avid Racing Civic, a 400+hp, Street-All-Motor class winner at 9.81/137.00. All three are equipped with Bill Miller Engineering Forged Aluminum Connecting Rods. 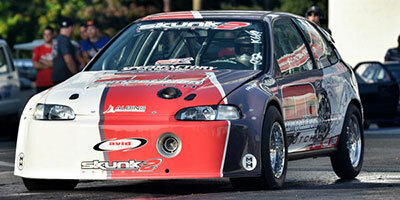 The World's quickest and fastest production-chassis front-drive car is the SpeedFactory Racing Team's Competition Clutch Honda Civic. To date, the car has run a 7.91 at 196.7, but it wouldn't be able to do that without the set of BME Rods in its 1500-hp, turbocharged four-cylinder engine. Image: Speed Factory. AMS Performance out of Chicago is famed for its achievements in drag racing and ?-mile "roll racing," which is a longer drag race from a 60-mph, rolling start. "Alpha Omega" the company's Nissan R35 GT-R has run 7.48/193 in the quarter mile making it World's quickest/fastest GT-R. In a ?-mile roll race, Alpha Omega has run 224.91-mph. The AMS Performance's GT-R was the 2014 and 2015 King of the Streets winner at the Texas Invitational, the top roll race event in North America. The car's 4-liter, turbocharged, DOHC Nissan V6 makes 2000+hp and it is fitted with Bill Miller Engineering Forged Aluminum Connecting Rods. Looks can be deceiving. Under the hood of this stock-appearing Nissan GTR is a 2000-hp, 4-liter, twin-turbo V6 fitted with BME Rods. The car has run 7.48/192.97 in the quarter, 224.91 in the half and has two wins at the Texas Invitational Roll Race. It's one thing to win a few drag races and a season title or two, but it's a far greater accomplishment to be a consistent winner in a diverse range of racing classes for more than four decades. 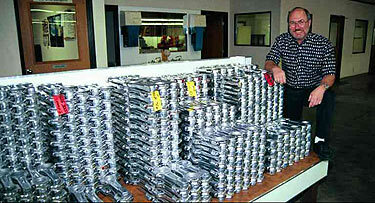 Other connecting rod makers may brag about racers who run their parts, but look at the facts--here is little doubt that BME Forged Aluminum Connecting Rods dominate drag racing. 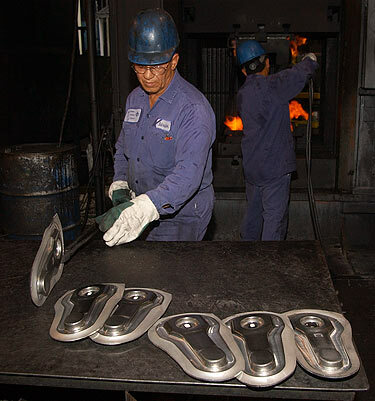 Until 1995, Bill Miller Engineering Forged Aluminum Connecting Rods were made of 7075 aluminum, heat-treated to the T6 specification. 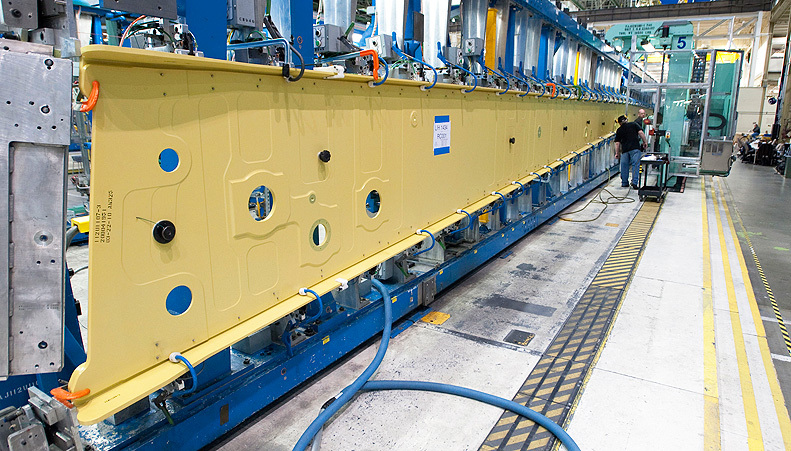 In the early-1990's, Alcoa developed a revolutionary aluminum alloy for Boeing to use for wing spars and other high-strength, lightweight structures in its military and commercial aircraft. Obviously, Alcoa didn't invent a new aluminum alloy just for BME rods. The original application was for wing spars and other large aluminum structures in Boeing's commercial and military aircraft. There are three spars in a 747's wing. This is the center or "main" spar for the first 747-8, the latest version of Boeing's storied jumbo jet. In 1996, after a comprehensive, joint research and development program with metallurgists at Aluminum Precision Products Corporation, a specialty foundry in California; Bill Miller Engineering introduced connecting rods made of this advanced, aluminum alloy. Compared to 7075-T6, BME's new material was capable of a 15% average increase in tensile and yield strength, equal or better elongation and other mechanical qualities but, most importantly--no increase in weight. In short, rods made of the unique Bill Miller Engineering aluminum alloy offered racers higher strength and longer fatigue life from a part of the same weight. In 2010, after experiencing significant increases in raw materials cost during the '00's, Bill Miller Engineering began researching materials and processes which would give racers more value in the BME Aluminum Rod. Once again, in cooperation with specialty foundry APP, Bill Miller Engineering introduced yet another new alloy for aluminum connecting rod applications based on the material they developed fourteen years before. As always, when it introduces a new material, connecting rods made of it were exhaustively tested, both in the lab and on the racetrack in BME's Top Fuel Dragster, to validate their performance, reliability and quality. The result was BME Aluminum Connecting Rods with the same strength and durability as the 1996 design but with a more attractive price point. The Aluminum Association, a trade organization of primary aluminum producers which sets industry standards, defines a "billet" as a "hot-worked, semifinished product suitable for subsequent reworking." Other manufacturers sell "billet aluminum" connecting rods. Unfortunately, BME's competitors don't disclose that the billets they use in making their rods are cut out of thick pieces of flat stock--ordinary aluminum plates. In this era of lightweight engine components, exceptional fatigue life comes only from superior raw materials, outstanding design and high-tech manufacturing. Bill Miller Engineering has combined the outstanding metallurgy in its advanced aluminum alloy with the advantages of the die-forging process to produce a forged aluminum connecting rod which beats the rods cut out of plates under real world racing conditions. Proof of that is the number of NHRA and IHRA Top Fuel and Funny Car racers who use BME Rods and the 50-plus NHRA and IHRA blown-fuel championships they've won since 1974. No other aluminum connecting rod even comes close to that record. Today's demanding quality and productivity standards mean there's a lot of automation in the making of a BME Aluminum Rod. That said, to make the best aluminum rod in the world, still requires some of the manufacturing process to be done by hand by experienced craftsmen with sharp eyes and a fine sense of touch. The big and small ends of each BME rod are finished by hand on a Sunnen Rod Hone. Image: BME Ltd. The premium, specialty aluminum BME uses to make its rods is not available in the lesser-quality, flat-stock used by its competitors to manufacture other aluminum rods. BME's raw material is aluminum bar stock which is, first, subjected to a minimum, 6:1 extrusion ratio. It's important to note that his extruded raw material is, indeed, a billet, because it?s "a semifinished, hot-worked aluminum product" but, while a billet is the final form of the competition?s rods; it?s only the start of a Bill Miller Engineering Rod. The first step in making a BME Forged Aluminum Rod, forging the Rod's basic structure from a chunk of aerospace-quality aluminum. During Alcoa's early-1990s research into the strength of connecting rod materials which resulted in BME's switch to a different type of aluminum, fatigue life studies proved failures are caused chiefly by stress resulting from severed grains and improper gain direction. With a connecting rod machined from an aluminum plate, any machining severs grain ends. If this machining is done to critical sections of the rod, such as the beam or the big end, the severed grain ends weaken the rod. If remaining uncut grains are not aligned in the proper direction, the rod's strength will be further compromised. A half-a-dozen raw BME forgings. They'll sit for a while then get moved to the machining facility. Don't touch! They're still hot. Following extrusion, BME's die-forging process shapes the aluminum and compresses its grain structure by heating it to 700-deg. F then applying pressure of 2000 tons. Compared to rods cut out of ordinary flat stock, Bill Miller Engineering's forging process: 1) enhances grain flow and increases grain density, 2) forces the grain of the extrusion into the connecting rod shape without exposing grain ends, 3) aligns that part of the grain which makes up the rod's tapered beam with the direction of highest stress the rod will sustain, and 4) forces the grain around the rod bearing bore, creating a "hoop stress" phenomenon which provides maximum strength for the limited cross-section available at the rod?s big end. Other brands of aluminum rods are machined from flat-stock, so their grain length is cut by tapering process and again by the rod bearing and pin bores, exposing the grain ends in all those locations. 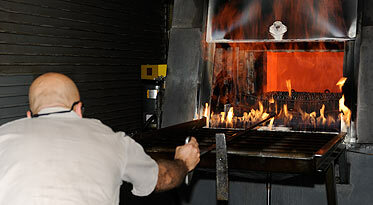 In contrast, the forging process used by Bill Miller Engineering forces the grain into the taper and around the rod bearing bore. These advantages are impossible to attain with connecting rods cut out of aluminum plates. Those advantages are, also, why a BME Forged Aluminum Connecting Rod has an exceptionally long fatigue life. 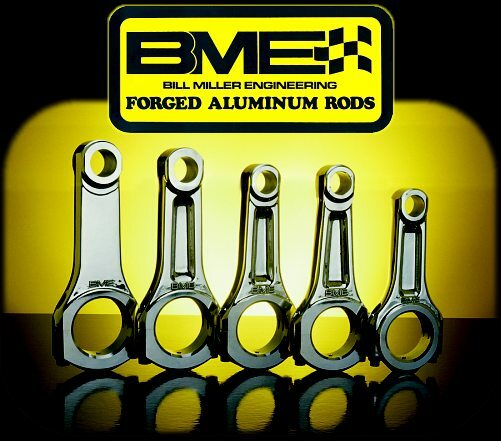 BME Rods are available in a variety of architectures, such as: Chrysler 426 Hemi, 440 Wedge and 340 A-Block, Chevrolet Small- and Big-Block V8s, Ford V8s and traditional Pontiac V8s. Bill Miller Engineering can custom-make aluminum rods for virtually any engine. Recent custom connecting rod projects were for a late model Mercedes V8, a 1925 Mercer Raceabout six-cylinder, an Nissan DOHC V6 and a single-cylinder speedway motorcycle engine. For more information, see our rod prices page or call BME for pricing on custom work. Urban legends abound in the gearhead community. One is: aluminum connecting rods don't work in street engines. Prior to the mid-'70s, that might have been true, however, introduction of the Bill Miller Engineering Forged Aluminum Connecting Rod in 1975 discredited that myth. About 30 years ago, a few resourceful engine builders, led by H-O Racing's, Ken Crocie, began using BME Rods in very-high-performance street engines. Crocie, a racing and street/strip Pontiac V8 specialist, faced with a shortage of acceptable steel rods for Pontiac V8s, began to use BME Aluminum Rods in some engine builds. While, since then, other engine builders followed Crocie's lead, admittedly, use of the Bill Miller Engineering Rod in street engines has not been widespread?but that's only because of the stubborn belief that any aluminum rod is unsuitable for street use. "In a hot street application, using the aluminum rod is a no brainer," BME President, Bill Miller, said in an interview with an automotive magazine. "I don't know how the myth that aluminum rods can't be used on the street got started, but I'll guess that, back in the 60s and early-70s, they weren't making them using the process we're using today. With the material we've got and they way we manufacture the connecting rods, they'll live a couple hundred thousand miles on the street because a street application is, for the most part, low load. Our basic Aluminum Rod is made for an 1000-hp, 10,000 rpm race engine. The design criteria for the connecting rod is way overkill for what it's going see on the street. We been running aluminum rods on the street for more than two decades." Why build a street engine with BME Rods? One reason is the "cool factor." Bill Miller Engineering Rods are unique, high-end racing parts and there always will be people who spend extra money to have the same rods in their engines as John Force puts in his. More importantly, there are practical reasons for using BME Rods?the same reasons racers use them: less reciprocating and rotating mass due to their comparative lightness. That allows the engine to accelerate quicker. Lighter rods also improve throttle response and allow the engine to run reliably at a higher rpm than it could with steel rods. You do a few things differently when setting-up a street engine for BME Rods. Minimum bearing clearance at room temperature should be .002-.0025-in. Wrist pin clearance should be .0006-.0008-in. Rod side clearance should be .020-in. The engine's oiling system needs to be appropriate for a racing application with larger rod bearing clearances once the oil reaches operating temperature. The oiling system must be configured to provide 10 psi, hot oil pressure for every 1000 rpm in the engine's rpm range. The minimum acceptable oil is a premium, 10W30 synthetic and Bill Miller Engineering recommends Red Line 10W30 Engine Oil. Engines with BME Aluminum Rods must not be run at high load or high rpm until oil temperature reaches at least 130 deg. 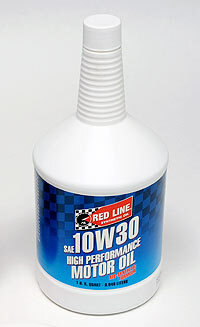 F. Lastly, while Red Line oil lubricates reliably at oil temperatures up to 300 deg. F, the recommended oil temperature for an engine using BME Rods is 160-200? F.
BME Rods are assembled with two cap screws. Some racers call them "bolts" but, technically, that's a misnomer. A cap screw has a chamfered end, a washer face under the bolt head and its body dimensions are manufactured with tighter tolerances. 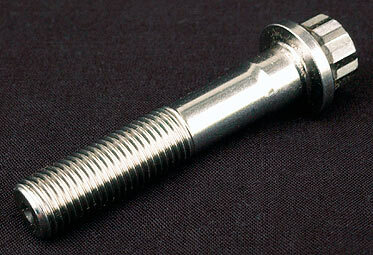 A bolt has a flat end, no washer face under the head and has body dimensions made to less stringent specifications. A cap screw is installed and tightened by turning its head whereas a bolt is installed, then a nut is threaded on the other end and is used to tighten the fastener. ARP 2000 steel, rolled threads and a special, BME-designed heat-treating process makes the cap screws in a BME Forged Aluminum Connecting Rod the strongest in the industry. Image: BME Ltd. Whether you call them "cap screws" or "bolts" doesn't matter that much. What does matter is that, keeping with Bill Miller Engineering's steadfast commitment to quality, BME installs nothing but the finest cap screws in its Forged Aluminum Connecting Rods. These fasteners are manufactured to BME's specifications by the world's top fastener manufacturer, Automotive Racing Products (ARP). BME/ARP cap screws come in two varieties. BME/ARP 2000 rod bolts are mounted in vertical racks during the heat-treat process. Vertical racking insures 360-deg. thermal penetration by the heat-treating process. 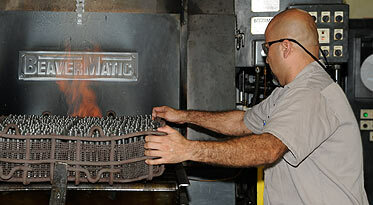 Image: BME Ltd.
A rack of BME/ARP 2000 cap screws gets pushed into the heat-treating oven at ARP's in-house, heat-treating facility. Yep. It's hot in there. How hot? 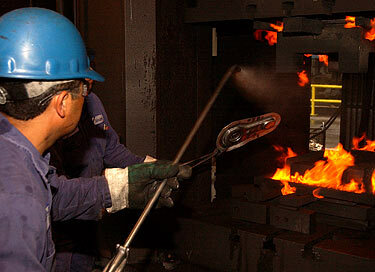 Well, that's a trade secret, but we can tell you it's well over 1000 degrees F. Image: BME, Ltd. The fasteners in most BME Rods are made of 8740 chromium-molybdenum steel, a quenched and tempered steel alloy having a yield strength of 180,000-psi and tensile strength of 200,000-psi. These fasteners have a excellent margin of strength for the vast majority of aluminum connecting rod applications. The cap screws used in rods Bill Miller Engineering sells for supercharged drag racing engines which use methanol or nitromethane fuels are made of a special hybrid alloy, "ARP2000", which can be heat-treated to a higher level than 8740 steel. Fasteners made of this ARP-developed material receive a special, proprietary, BME heat-treating process designed specifically for connecting rod cap screws used in blown-alcohol and blown-fuel applications. These special BME ARP2000 fasteners have a yield-strength of 225,000-psi and a tensile strength of 250,000-260,000-psi. The increased strength results in as much as a 13% increase in clamping force. Both types of BME/ARP fasteners are manufactured at Automotive Racing Product's Santa Paula, California facility using SDF or CHQ grade--both better than "aircraft grade"--materials. They are heat-treated in vertical racks which ensures complete, 360-deg. heat penetration. Like all ARP cap screws, the fasteners in BME Rods have rolled threads and the thread rolling is done after heat-treating which provides up to 10-times more fatigue life than cap screws having threads rolled before heat-treating. The unique alloys used in BME/ARP cap screws are more susceptible to corrosion than run-of-the-mill bolts, thus, they require special care. Before use, normally, you only need to blow off the fasteners with shop air, however, if necessary, they can be cleaned with most any solvent- or aqueous-based cleaning process, then dried with shop air. In either case, after blowing off the cap screws, immediately immerse them in engine oil and we don't mean just "dip" them in oil. Fill a small tray with oil then submerge the fasteners and leave them there until you are ready to install them. Leave them coated with oil during the installation process. Never allow those cap screws to dry. This special fastener care extends to storing your set of BME rods. You must store them with the fasteners well-oiled and finger-tight. Never store Bill Miller Engineering Forged Aluminum Connecting Rods with the bolts torqued. BME Rods: The finest money can buy. 1) They outperform and outlast all other aluminum connecting rods. 2) BME puts overriding emphasis on quality through testing, inspection and manufacturing process controls. 3) Bill Miller has raced a Top Fuel car since the early 1980s. There is no better way to learn what it takes to make the best drag race connecting rod in the World than to regularly test it in your own Top Fueler. 4) In 42 years of manufacturing aluminum connecting rods, Bill Miller Engineering has earned for a reputation for innovative technology and continuous improvement. 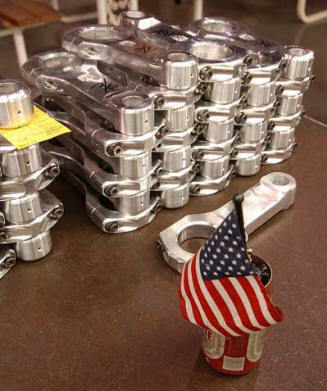 5) Bill Miller Engineering Forged Aluminum Connecting Rods are made in America with the 100% U.S.-sourced materials and the best workmanship of any racing connecting rod available today. 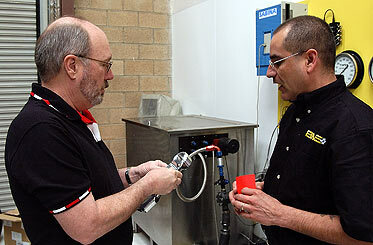 What's great about BME is the hands-on involvement of company President, Bill Miller, at left. Bill started BME with the Forged Aluminum Connecting Rod as his first product and he was the company's only employee. Today, 40 years later, Miller is still involved with design, development, manufacturing and marketing the entire process. 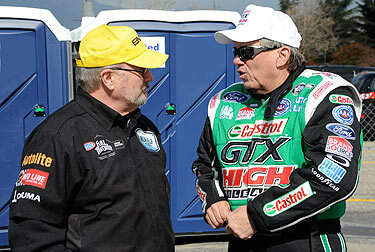 He works directly with his team members and deals with many customers personally, such as 16-time Funny Car Champion, John Force, shown below, talking with Bill at the 2011 NHRA Winternationals. Images: BME Ltd. Since 1975, Bill Miller Engineering has been dedicated to designing, developing, and manufacturing the finest aluminum connecting rods in the industry. Our commitment to the racer is total. We conduct continuous research and development to increase the performance and improve the reliability of our product. Rest assured, when you buy BME Forged Aluminum Connecting Rods; you get the best connecting rod modern technology can provide. Bill Miller stands behind his company's rods, both literally and figuratively. The BME Forged Aluminum Connecting Rod was Bill Miller's first product and remains the core of his business.